USSA ProStar Series announced plans today to feature an Enduro style event at the World Series held at the prestigious World Championship Derby Complex. Recently the administrative heads of both organizations discussed the possible event and formulated a way that both associations could take part in the event at the WCDC. Karl Schwartz veteran Enduro racer, team owner and current President of MIRA consulted with key people in his organization and relayed the information to Bob Richardson, USSA’s Director of Competition, that brought about the special featured event at the World Series. Bob, Karl, and Charlie Wiltsie of MIRA combined ideas and suggestions to create this unique event. 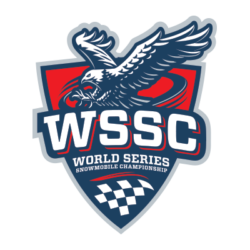 While USSA will be using the World Series as a tribute to the original USSA World Series events, which was an invitational event offered to only the best in each oval association. During these planning sessions, the discussion lead to the last time an Enduro type event was ran at Eagle River. Thus, the idea matured and came full circle. The event will be running on the weekend of March 8th and 9th, 2019. It will feature all the USSA classes and will be the final points event for USSA drivers. In addition to the oval sprint races, mid afternoon on Saturday will feature an Enduro based event with many of the top drivers of the MIRA circuit and drivers who also competed in the recent I-500 at the Soo. The Enduro portion will be a streamlined event having 50 laps as presently scheduled. This will be a no pit stop race, as the ability to fill the infield with haulers and pit stalls does not present itself with the current track configuration. Presently Factory Stock 600 sleds will be legal to run with the Pro Mod 600 class sleds from the Enduro circuit. This will give USSA drivers and fans the ability to see and be part of the professional Enduro drivers group. Fan reaction, driver reception, and overall interest in the event may well indicate a return to Enduro racing in Wisconsin. Presently factory support has a presence in Enduro racing and does feature the recognizable stock configured sleds that one sees on the trails. This is a great advantage to the drivers to gain support as factory participation normally only takes place in sleds that are marketable for the manufacturers. While experimental in purpose, the event offers a great potential for fans, drivers, and promoters in the Wisconsin market area. Details on entry fees, prize money and final lap count will all be released quite soon as details are worked out. Stay tuned!!! Last week at the Soo I-500 event, Jerry Korinek, USSA board member and past Director of Competition for USSA, spoke with Jamie Vincent, Race director for MIRA and head technical inspector at the Soo. Both Jamie and Jerry felt the possibility of this event, gave a strong recognition to the current Enduro sleds, their drivers, and increased the chances for events and visibility in Wisconsin. Watch for more information in the coming weeks.